There is widespread coverage in today’s newspapers, including The Times, Telegraph and Guardian, of two reports by the Independent Chief Inspector (ICI) of Borders and Immigration, David Bolt. One of the reports is on the Reporting and Offender management system, while the other relates to the management of Foreign National Offenders (FNOs) in the community. 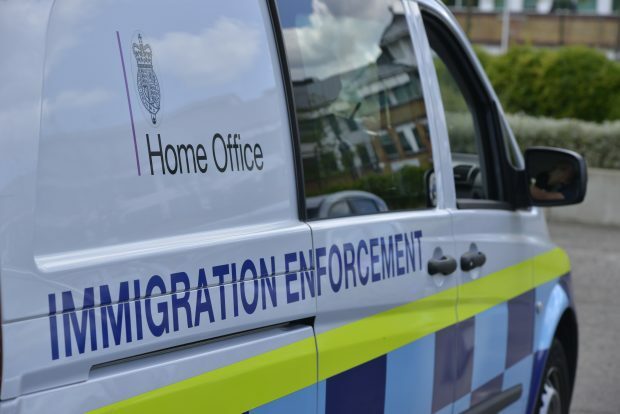 The Times reports that the ICI found that tens of thousands of migrants who are supposed to report to the authorities have gone missing and that among the absconders are 750 foreign offenders who should be presenting themselves regularly at Home Office centres or police stations. The Telegraph takes a similar angle, and adds that inspectors found there was little evidence the Home Office was trying to find most of the absconders. A comment from the Immigration Minister on the reports can be found below. People who have no right to live in this country should be in no doubt of our determination to remove them. Our priority is to progress cases towards voluntary and – if necessary – enforced departures and we have removed more than 38,600 foreign offenders since 2010. This week, like every week, more than 100 foreign criminals will be removed from the UK. Elements of these reports make for difficult reading, but we are committed to a programme of transformation. That is why we are conducting a fundamental review of how we establish and maintain contact with those who have not complied with restrictions placed on their stay in the UK. Our future operations will be shaped by the outcome of this review. The Guardian and Independent report that the Help Refugees charity has lost a High Court challenge against the government over the way it reached the numbers of unaccompanied child refugees it has committed to accept into the UK under the Dubs amendment. It is reported that the group had been challenging the consultation process with local authorities to determine the number of children who would come to the UK under the scheme. The Independent says that the Divisional Court said there "was nothing that could show that the consultation process or the consideration of the results was unlawful". A Home Office statement in response to the judgement can be found below. This judgment has confirmed that the consultation conducted last year on the Dubs Amendment and its implementation was lawful. We remain committed to transferring 480 children from Europe to the UK under section 67 of the Immigration Act. We have accepted further referrals this year and transfers are ongoing. We will continue to work closely with EU partners and local authorities to transfer eligible children here quickly and safely. In addition, our wider focus remains helping those in need of international protection in the region, which is why we have committed to resettle up to 23,000 refugees from the region – almost 9,000 are already rebuilding their lives in the UK - and pledged £2.46bn to the humanitarian response to the Syria conflict.